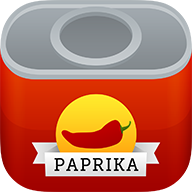 We originally released Paprika Recipe Manager in 2010, and based on users purchasing the previous version, we were able to operate our sync service and provide ongoing updates for over seven years after its initial release. However, it was not possible for us to continue providing free updates forever, especially for major upgrades like version 2 to version 3, which required substantial time and expense to develop. In order to be able to maintain ongoing development for these apps we will need to periodically charge for upgrades between major versions, which is why we released version 3 as a paid upgrade. We will continue to provide minor feature upgrades and iOS/macOS compatibility updates to version 3 for free like we have in the past. We hope that our users find the new features in version 3 compelling enough to be worth the cost of upgrading. However, we understand that not everyone will want to upgrade, and we do not intend to force everyone to upgrade to version 3. You can continue to install and use Paprika 2 on your current devices if you prefer, and we will continue to operate our existing services so users on older versions can keep using their apps. That said, we do not intend for users who have recently purchased version 2 of Paprika to have to immediately purchase the upgrade as well. If you have purchased version 2 within the last three months, please open a support request with a copy of your emailed receipt(s) attached and we will try to get you upgraded (depending on availability).